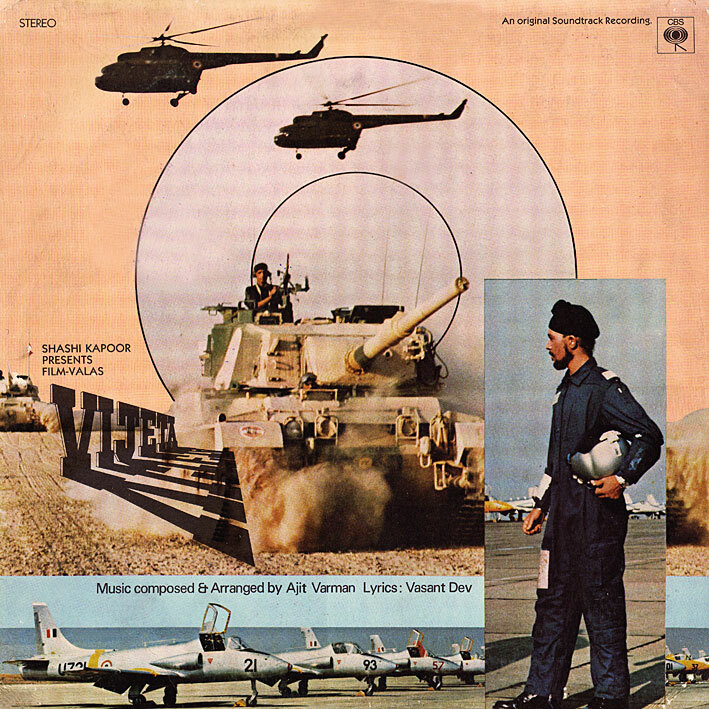 The cover makes 'Vijeta' look like an armed forces recruitment film (it's not), Ajit Varman is a fairly obscure music director by Bollywood standards (only half a dozen scores to his name), and the album's three songs sound lovely and trippy, or meandering - depending on your perspective (I can't decide). What makes this particular soundtrack really interesting though is that the entire second half is devoted to the film's 'background music' - ie. the instrumental stuff they play behind the action. Which I think is a splendid idea, especially as said music here is rather ace. Sweet orchestrations, loopy jazz, pysched out funk, mad killer beats, freaky keyboard bits and synthesized noise... all contained within tracks 4-11 below. Loads to sample for those inclined, yet very enjoyable as a whole for just listening. More soundtrack albums should be like this. sounds very intriguing and up my alley... thanks for the post! Definitely never heard of this Music Director, but obviously someone did, or he wouldn't have gotten the nod for this score, and he wouldn't have gotten to work with veterans like Asha Bhosle and Manna Dey. Looking good - listening now. Many thanks. I came to your website quite by chance and I am glad I did. Do you own all these records? How do you procure them? I myself am an avid collector of Gramophone records and have over 300 in my personal collection. I am always on the lookout to acquire more and any info/help in this regards would be much appreciated. Also, can you please let me know how can I convert the music from these records to MP3? never heard or seen this.. but it's crazy i love it.. well good thanks a million. Really nice to see a write-up about my father. Its true he never got the recognition he deserves in India. I am planning to do something with the OST. Thanks once again, it will make his day! Fantastic blog, I love it. I can't believe I stumbled on it looking for album art and some of these album covers are so innovative and beautiful, way more progressive than the album art you get to see these days. Question: Are you uploading these tracks someplace for download? There are a couple of songs I was looking for and though I see the track listing, I can't find any way of downloading the songs themselves. I remember the songs of Vijeta and the music is truly beautiful. 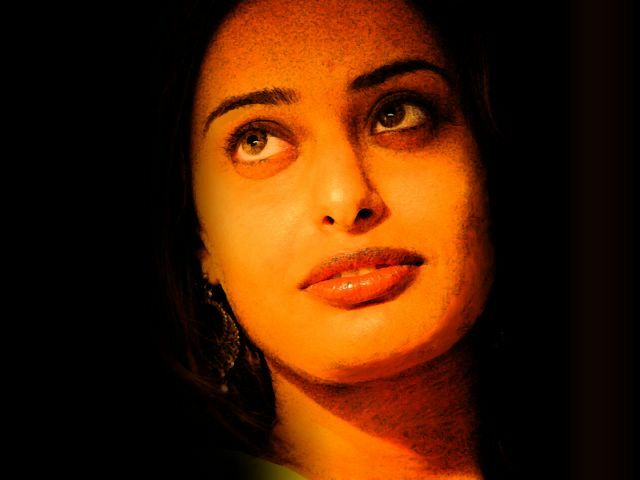 Its time the composer Ajit Varman was pulled out of oblivion and given his true recognition. His music in Saaransh directed by Mahesh Bhatt was so moving. Do listen to it. Sid, paste the link at the top of the comments into your browser window--it will lead you to the tracks. Thanks for this awesome soundtrack, PC. One of my favorites--the instrumentals are totally ace. "The ultimate place for all the latest videos"
Pls give me your positive reply at videosnstuff@gmail.com when you are done. Its all quiet on the western front ...all alright PC ? Yup, all fine, thanks for asking :-) Just really swamped, both dull stuff (work) and cool stuff (new release by my label)... but I will be posting new stuff shortly. Oh, and to anonymous with the videonstuff blog, no thanks, I think I'll pass. Was looking for this soundtrack for ages!!! Thanks for the upload. The link isn't working. can you please send me the correct link to reachemma@gmail.com? Really? It's working fine from here. I used the link above. I can see only the file name which itself isn't hyperlinked. Am I missing something? How do I download? Copy/paste the url in the first comment into your browser... that'll take you to a link-protection page. Clicking 'continue' will send you to a Sharebee page, where you subsequently can choose from several download sites. It worked - thank you very much. Please provide the link once more. It is not working. DNS Error. I need the OST very badly. It's uploaded to Sharebee - from where it's redistributed to other hosts, Rapidshare being one of them.